One of my favorite books of 2013 so far is Anne Bishop’s Written In Red, an adult fantasy that pits humans against supernatural terra indigene in an alternate United States. I thought that the world-building was top-notch and as for an enjoyable read, can I just tell you that I’ve read it twice already (it came out March 5th), and may read it again before the second in the series comes out? 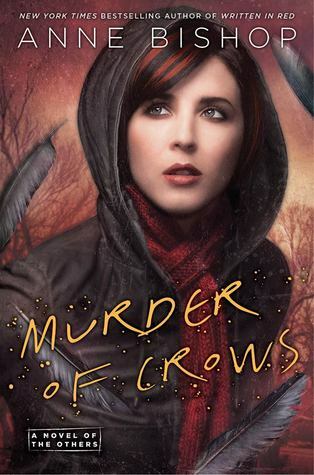 Speaking of the second in the series, Murder of Crows will be released by Roc (Penguin Random House) on March 4, 2014. Can’t hardly wait. I still need to read the first one! I'm sure I will once it comes out - I find Anne Bishop's novels fun. I like the cover. Great follow up.